Megatrends such as technology disruptions, international competition and sustainability affect firms across all sectors and industries, creating new competitive and social challenges. Industries and sectors are also disrupted by new regulations, new customer needs and new technologies, forcing firms to reconsider the sustainability of their assets and activities. Small and large firms across sectors must place innovation among their strategic priorities if they do not want to suffer the fate of the dinosaurs. 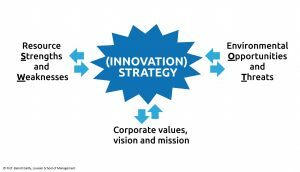 This implies developing innovation management capabilities to identify, select and capture the right innovation opportunities, in line with the firm’s ecosystem and strategy. (Book) Brundtland, G., Khalid, M., Agnelli, S., Al-Athel, S., Chidzero, B., Fadika, L. & Singh, M. (1987). Our common future (“The Brundtland report”). (Book) Doz, Y. L., & Wilson, K. (2012). Managing global innovation: Frameworks for integrating capabilities around the world. Harvard Business Press. (Book) Freeman, C., 1974. The Economics of Industrial Innovation. Penguin, Harmondsworth. (Book) Hinssen, P., & Chellam, M. (2010). The New Normal: Explore the limits of the digital world. Mach media. (Book) Kuhn, T. S. (1970). The Structure of Scientific Revolutions, 2nd enl. ed. University of Chicago Press. (Book) Nelson, R.R., Winter, S.G., 1982. An Evolutionary Theory of Economic Change. Harvard University Press, Massachusetts. (Book) Radjou, N., Prabhu, J., & Ahuja, S. (2012). Jugaad innovation: Think frugal, be flexible, generate breakthrough growth. John Wiley & Sons. (Book) Schumpeter, J. (1942) Creative destruction. Capitalism, socialism and democracy, 82-5. (Article) Abramovitz, M. (1956). Resource and output trends in the United States since 1870. In Resource and output trends in the United States since 1870 (pp. 1-23). NBER. (Article) Aghion, P., & Howitt, P. (1990). A model of growth through creative destruction (No. w3223). National Bureau of Economic Research. (Article) Anderson, J., & Markides, C. (2007). Strategic innovation at the base of the pyramid. MIT Sloan Management Review, 49(1), 83. (Article) Arrow, K. J. (1962). The economic implications of learning by doing. The Review of Economic Studies, 29(3), 155-173. (Article) Baumgartner, R. J., & Rauter, R. (2017). Strategic perspectives of corporate sustainability management to develop a sustainable organization. Journal of Cleaner Production, 140, 81-92. (Article) Bohnsack, R., Pinkse, J., & Kolk, A. (2014). Business models for sustainable technologies: Exploring business model evolution in the case of electric vehicles. Research Policy, 43(2), 284-300. (Article) Brown, S. L., & Eisenhardt, K. M. (1997). The art of continuous change: Linking complexity theory and time-paced evolution in relentlessly shifting organizations. Administrative Science Quarterly, 1-34. (Article) Cheng, C., Yang, C., & Sheu, C. (2014).’The link between eco-innovation and business performance: a Taiwanese industry context’. Journal of Cleaner Production, 64, 81-90. (Article) D’Aveni, R.A., Dagnino, G.B., & Smith, K.G. (2010). The age of temporary advantage. Strategic Management Journal, 31(13), 1371-1385. (Article) Dew, N., Sarasvathy, S.D., Read, S., & Wiltbank, R. (2008). Immortal firms in mortal markets? : An entrepreneurial perspective on the “innovator’s dilemma”. European Journal of Innovation Management, 11(3), 313-329. (Article) Hardin,G. (1968). The Tragedy of the Commons. Science, 162, 1243-1248. (Article) Lucas Jr, R. E. (1988). On the mechanics of economic development. Journal of Monetary Economics, 22(1), 3-42. (Article) Markides, C. C., & Anderson, J. (2006). Creativity is not enough: ICT-enabled strategic innovation. European Journal of Innovation Management, 9(2), 129-148. (Article) McGrath, R.G. (2013). Transient advantage. Harvard Business Review, 91(6), 62-70. (Article) Nidumolu, R., Prahalad, C.K., & Rangaswami, M.R. (2009). Why sustainability is now the key driver of innovation. Harvard Business Review, 87(9), 56-64. (Article) Ritala, P., Huotari, P., Bocken, N., Albareda, L., & Puumalainen, K. (2018). Sustainable business model adoption among S&P 500 firms: A longitudinal content analysis study. Journal of Cleaner Production, 170, 216-226. (Article) Romer, P. M. (1986). Increasing returns and long-run growth. Journal of Political Economy, 94(5), 1002-1037. (Article) Solow, R.M. (1957). Technical Change and the Aggregate Production Function, The Review of Economics and Statistics, 39(3), 312-320. (Article) Triguero, A., Moreno-Mondéjar, L., & Davia, M. (2013). ‘Drivers of different types of eco-innovation in European SMEs’. Ecological Economics, 92, 25-33. (Article) Wilson, K., & Doz, Y. L. (2011). Agile innovation: A footprint balancing distance and immersion. California Management Review, 53(2), 6-26. (Book) Brynjolfsson, E., & McAfee, A. (2011). Race against the machine. Digital Frontier, Lexington, MA. (Article) Aghion, P., Bloom, N., Blundell, R., Griffith, R., & Howitt, P. (2005). Competition and innovation: An inverted-U relationship. The Quarterly Journal of Economics, 120(2), 701-728. (Article) Almada-Lobo, F. (2016). The Industry 4.0 revolution and the future of Manufacturing Execution Systems. Journal of Innovation Management, 3(4),16-21. (Article) Amore, M.D. (2015). Companies learning to innovate in recessions. Research Policy, 44(8), 1574-1583. (Article) Hecker, A., & Ganter, A. (2013). The influence of product market competition on technological and management innovation: firm‐level evidence from a large‐scale survey. European Management Review, 10(1), 17-33. (Article) Jackson, S. E., & Dutton, J. E. (1988). Discerning threats and opportunities. Administrative Science Quarterly, 370-387. (Article) Meyer, A. D., Brooks, G. R., & Goes, J. B. (1990). Environmental jolts and industry revolutions: Organizational responses to discontinuous change. Strategic Management Journal, 93-110. (Article) Meyer, A. D., Gaba, V., & Colwell, K. A. (2005). Organizing far from equilibrium: Nonlinear change in organizational fields. Organization Science, 16(5), 456-473. (Article) Mone, M., McKinley, W., & Barker, V. (1998). ‘Organizational decline and innovation: a contingency framework’. Academy of Management Review, 23, 115-132. (Article) Pavitt, K. (1984). Sectoral patterns of technical change: towards a taxonomy and a theory. Research Policy, 13(6), 343-373. (Article) Probst, G., & Raisch, S. (2005). Organizational crisis: The logic of failure. Academy of Management Perspectives, 19(1), 90-105. (Book) Ismail, S. (2014). Exponential Organizations: Why new organizations are ten times better, faster, and cheaper than yours (and what to do about it). Diversion Books. (Book) Collins, J., & Hansen, M. T. (2011). Great by Choice: Uncertainty, Chaos and Luck-Why some thrive despite them all. Random House. (Article) Keupp, M.M., Palmié, M., & Gassmann, O. (2012). 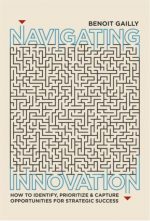 The strategic management of innovation: A systematic review and paths for future research. International Journal of Management Reviews, 14(4), 367-390. (Article) Oke, A., Walumbwa, F. O., & Myers, A. (2012). Innovation strategy, human resource policy, and firms’ revenue growth: The roles of environmental uncertainty and innovation performance. Decision Sciences, 43(2), 273-302. (Book) McCullough, D. (2015). The Wright Brothers. Simon and Schuster. (Article) Aspara, J., Hietanen, J., & Tikkanen, H. (2010). Business model innovation vs replication: financial performance implications of strategic emphases. Journal of Strategic Marketing, 18(1), 39-56. (Article) Barreto, I. (2010). Dynamic capabilities: A review of past research and an agenda for the future. Journal of Management, 36(1), 256-280. (Article) Boly, V., Morel, L. & Camargo, M. (2014). Evaluating innovative processes in French firms: Methodological proposition for firm innovation capacity evaluation. Research Policy, 43(3), 608-622. (Article) Crossan, M.M. & Apaydin, M. (2010). A Multi-Dimensional Framework of Organizational Innovation: A systematic review of the Literature. Journal of Management Studies, 47(6), 1154-1191. (Article) Eisenhardt, K., & Martin, J. (2000). 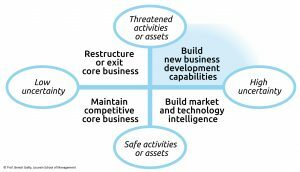 Dynamic capabilities: What are they?. Strategic Management Journal, 21, 1105-1121. (Article) Hansen, M. T., & Birkinshaw, J. (2007). 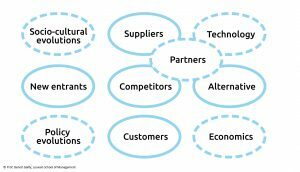 The innovation value chain. Harvard Business Review, 85(6), 121. (Article) Hidalgo, A., & Albors, J. (2008). Innovation management techniques and tools: a review from theory and practice. R&D Management, 38(2), 113-127. (Article) Lawson B. & Samson D. (2000). Developing Innovation Capability in Organization. International Journal of Innovation Management 5(3), 377-400. (Article) Meyer, A. D. (1982). Adapting to environmental jolts. Administrative Science Quarterly, 515-537. (Article) Mezger, F. (2014). 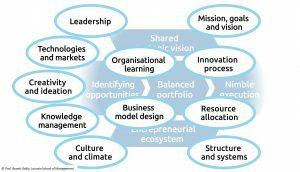 Toward a capability‐based conceptualization of business model innovation: insights from an explorative study. R&D Management, 44(5), 429-449. (Article) Mintzberg, H. (1973). Strategy-making in three modes. California Management Review, 16(2), 44-53. (Article) O’Connor, G. C. (2008). Major innovation as a dynamic capability: A systems approach. Journal of Product Innovation Management, 25(4), 313-330. (Article) Romijn, H., & Albaladejo, M. (2002). ‘Determinants of innovation capability in small electronics and software firms in southeast England’. Research Policy, 31, 1053-1067. (Article) Rothaermel, F., & Hess, A. (2007). Building Dynamic Capabilities: Innovation Driven by Individual-, Firm-, an Network-Level Effects. Organization Science, 18, 898-921. (Article) Samson, D., Gloet, M., & Prakash S. (2017). Systematic Innovation Capability; evidence from case studies and a large survey. International Journal of Innovation Management, 1750058. (Article) Siguaw, J. A., Simpson, P. M., & Enz, C. A. (2006). Conceptualizing innovation orientation: A framework for study and integration of innovation research. Journal of Product Innovation Management, 23(6), 556-574. (Article) Smith, M., Busi, M., Ball, P., & Van der Meer, R. (2008). Factors influencing an organisation’s ability to manage innovation: a structured literature review and conceptual model. International Journal of Innovation Management, 12(4), 655-676. (Article) Teece, D.J. (2007). Explicating dynamic capabilities: the nature and microfoundations of (sustainable) enterprise performance. Strategic Management Journal, 28(13), 1319-1350. (Article) Teece, D.J., Pisano, G., & Shuen, A. (1997). Dynamic capabilities and strategic management. Strategic Management Journal, 509-533. (Article) Terziovski, M. (2010). ‘Innovation practice and its performance implications in small and medium entreprises (SMEs) in the manufacturing sector: A resource-based view’. Strategic Management Journal, 31, 892-902. (Article) Tidd, J., & Bessant, J. (2018). Innovation management challenges: from fads to fundamentals. International Journal of Innovation Management, 1840007. (Article) Wang, C. L., & Ahmed, P. K. (2007). Dynamic capabilities: A review and research agenda. International Journal of Management Reviews, 9(1), 31-51.